U.S. Bank aluminum 7" wide sign brackets for tape posts. Turn any post into a sign holder. Easily attaches by sliding bracket into tape post receiver. Accomodates paper and acrylic signs up to 1/4" thick. 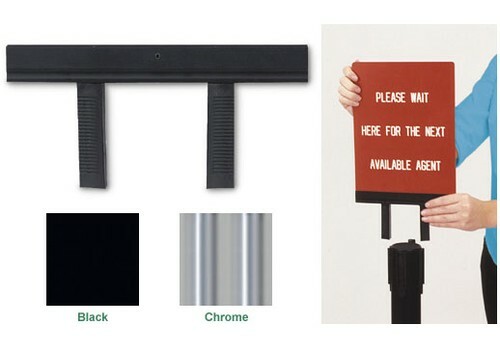 Choice of black or chrome finish (bracket legs are black on each). U.S. Bank aluminum 7" sign brackets for tape posts. Attach easily and accomodate paper and acrylic signs up to 1/4" thick. Choice of black or chrome.